Since A Frame Apart began, we’ve struggled to find a way to incorporate the work of one of our favourite auteurs: Guillermo del Toro. The First to Last format as we’d initially conceived it simply didn’t lend itself to going through such a detailed filmmaker’s work thoroughly, and carefully. It was in September 2017 that the idea struck us, while visiting At Home With Monsters, the travelling del Toro exhibit at the AGO. It was there at Bleak House, between the Rain Room and the Angel of Death, that we decided to spend an entire month doing a First to Last look at the work of Guillermo del Toro. While we’re spending the month focused on his filmography, no person is an island; we would be remiss if we didn’t look at a few of his influences. 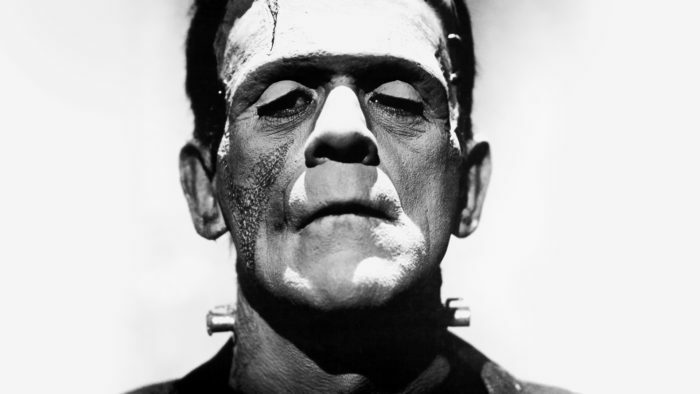 As such, we begin our month with a look at Frankenstein (1931), The Bride of Frankenstein (1935), The Elephant Man (1980), and Freaks (1932). So stoke the fire, and gather in close as we begin our journey through the monsters that followed Guillermo del Toro home. Follow us on Twitter, Instagram, Facebook, and Tumblr, or reach out via email at aframeapartcast@gmail.com. Subscribe on iTunes, where you can rate and review the show. You can also find us on SoundCloud, Google Play, Stitcher, or the Pocket Casts app.